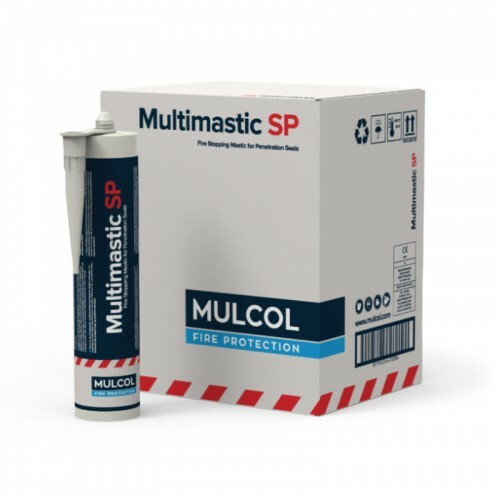 Multimastic SP is an acrylic-based ﬁre stopping mastic for the ﬁre-resistant sealing of openings around cable trays, pipe and cable penetrations and for glueing Multimastic FB1/FB2 ﬁre stopping boards (together). Multimastic SP expands when exposed to heat and creates a ﬁre-resistant and smoke-proof seal to adjacent rooms. Multimastic SP forms part of the Mulcol® Penetration Seal System. Multimastic SP can also be used in combination with the Multimastic C ﬁre-resistant paint.